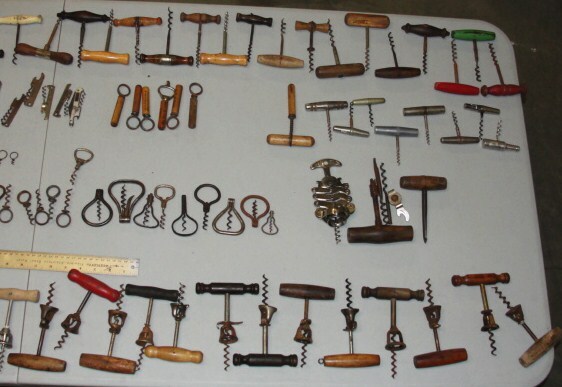 And, since it will be a day and evening of trick or treating, you should all check out the latest Collector Corkscrews auction to see what corkscrew treats are up for bidding. 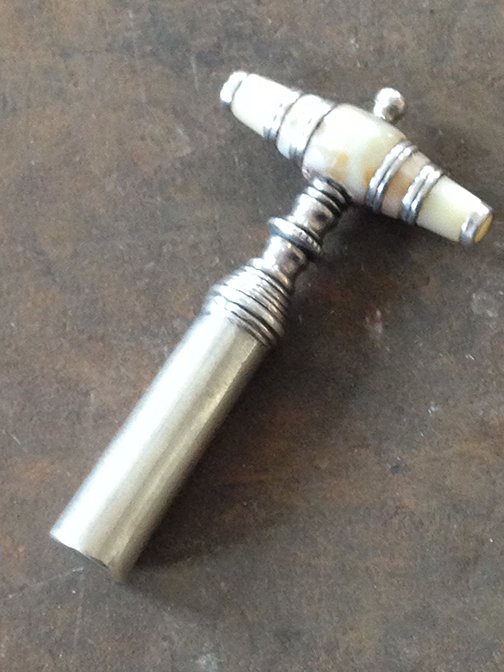 The auction went live and open for bids, as of today. 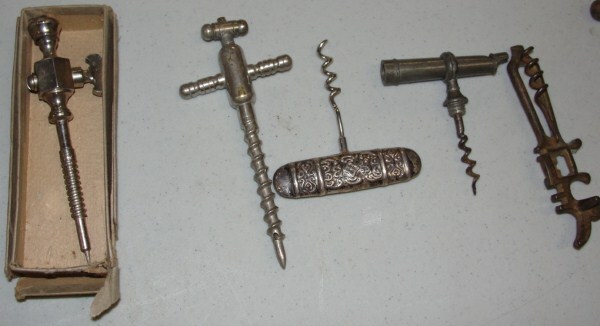 You can link to it here: Collector Corkscrews! Definitely some fantastic offerings this time around! 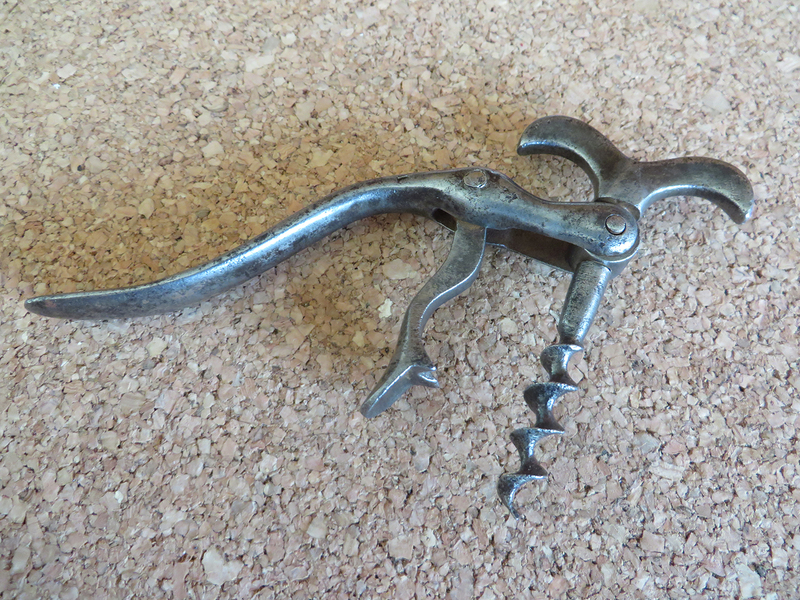 I will have to say, I do have a thing for bell assist corkscrews. And, truth be told, I couldn’t even begin to tell you how many I have. (Yes, I could go count them, but that would take a while). 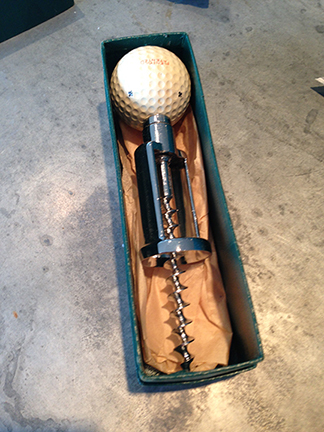 And, yesterday, another interesting bell corkscrew was made available on eBay. But, not any bell mind you. 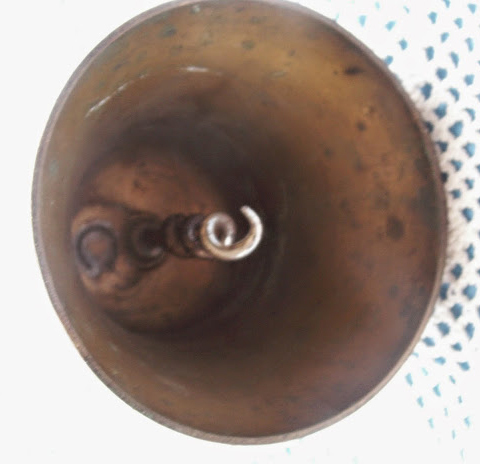 Not a bell assist, it instead looks like a bell. A nice addition to the collection! 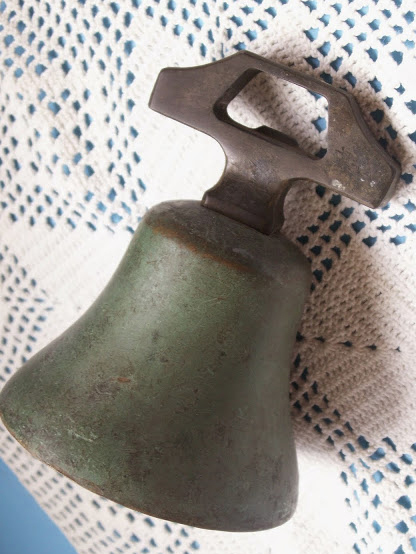 Anyone out there have ideas about the origins of the bell pictured above? 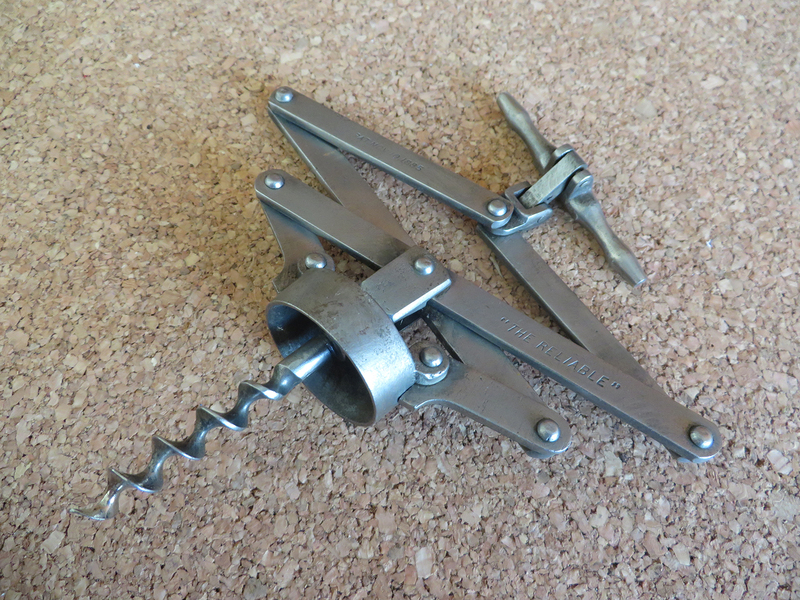 Over the past few months, I have picked a few corkscrews on eBay.co.uk, but the sellers didn’t ship to the U.S. To circumvent the non-shipping issue, Peter has been kind enough to have the few items shipped to him, and when the time is right, he ships them to me. 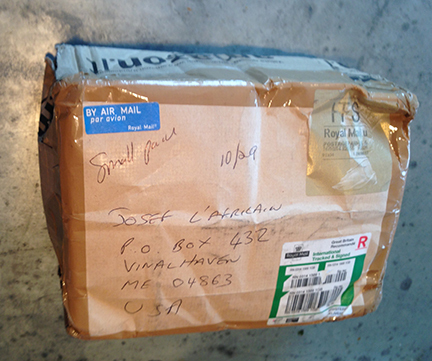 We have long done this, although TC has become his US mailing agent, but for years I would receive many more packages for Mr. Borrett than were generally addressed to me. For the past week, I have anxiously awaited the latest package, and today it arrived. The woman at the post office asked if I wanted to accept it, or send it back. 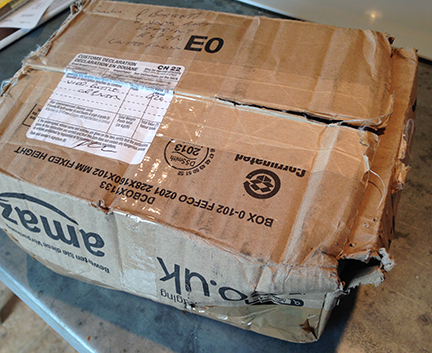 I sighed, picked up my tattered parcel, and headed for home. Would everything be in there? 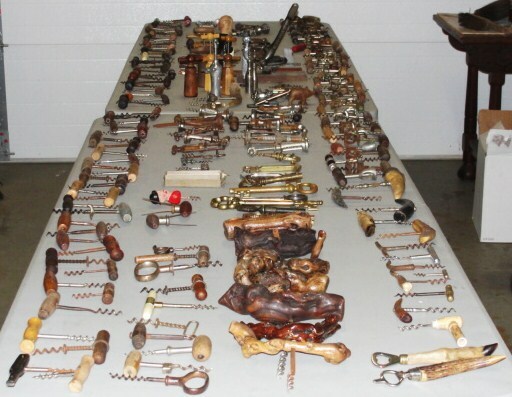 Would there be corkscrews missing, having been absconded with by some random corkscrew-coveting mail handler? 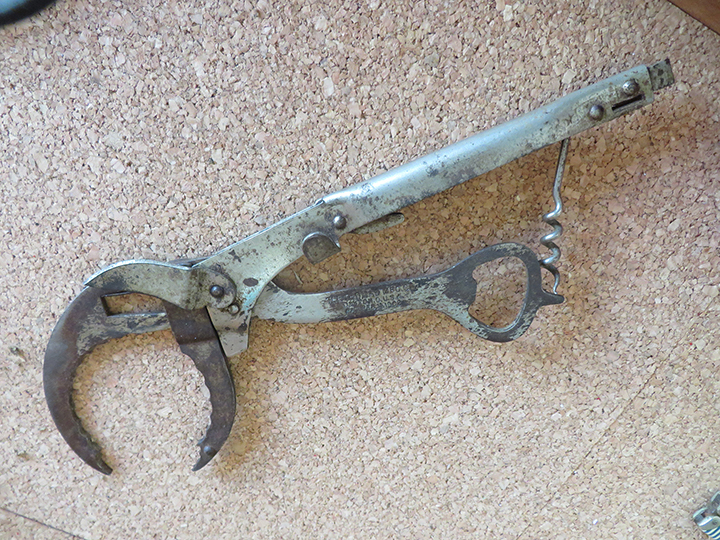 I got home, and clearly not needing any kind of box cutter, I began to pull out the contents. 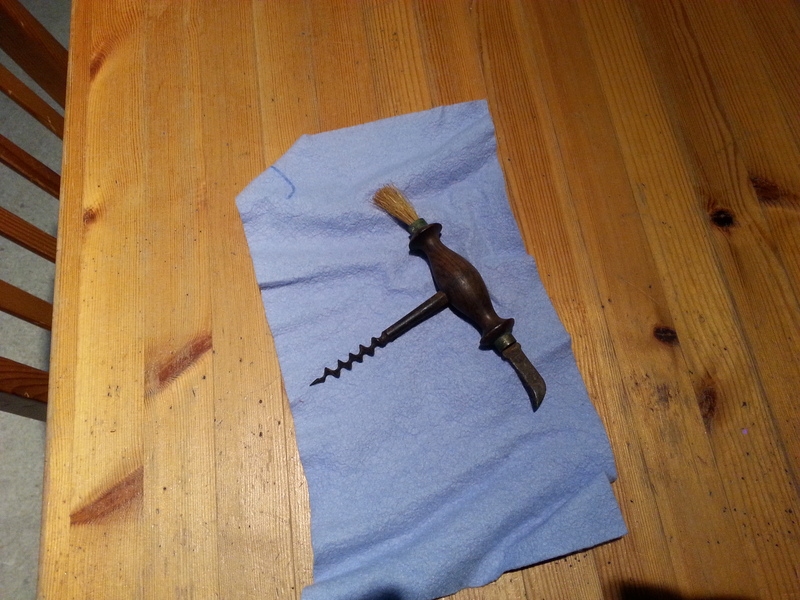 All five corkscrews made it unharmed! Thanks for the shipping Petey. 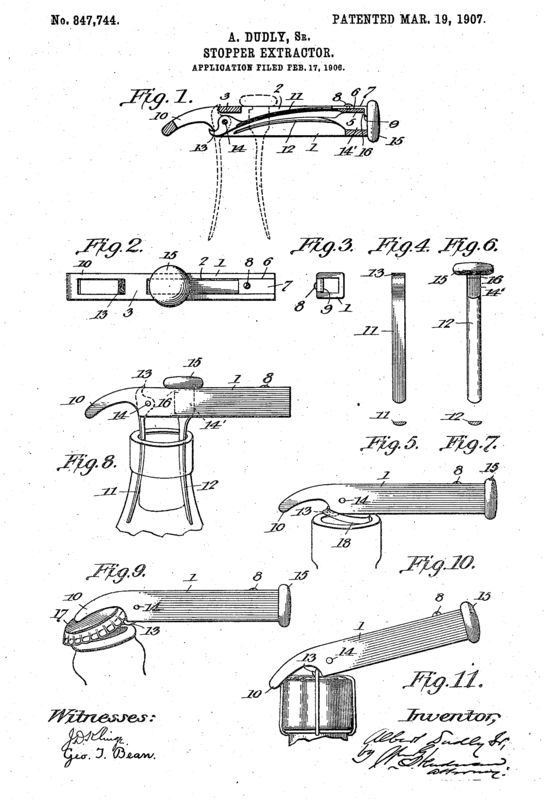 I suggested that they look closely at the shaft just under the handle. 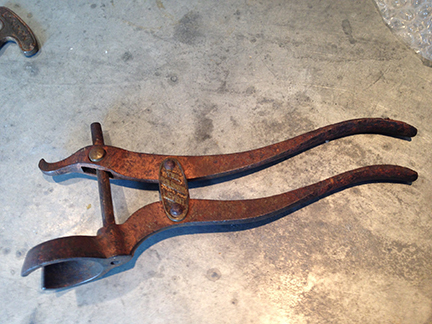 And, explained that these are usually marked, “Will and Finck,” “H & B MFG.” or CASTSTEEL. Based on that information, I could help further. I also asked her what it set her back at the garage sale. No reference as to what she paid for it however. After she responded (with still no reference as to what she paid for it) a deal was done! Thanks for the deal Joyce! 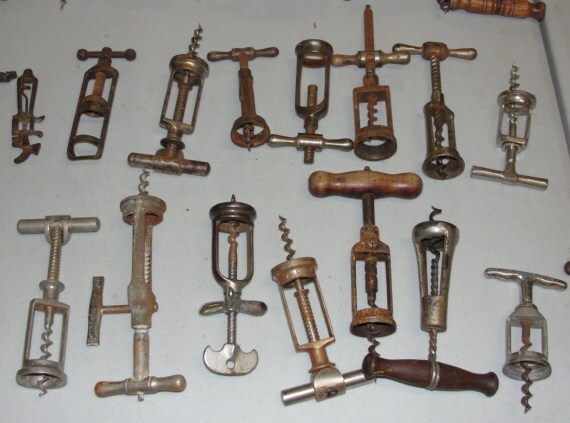 And, yes, I will be very interested in any corkscrews you find!!!! 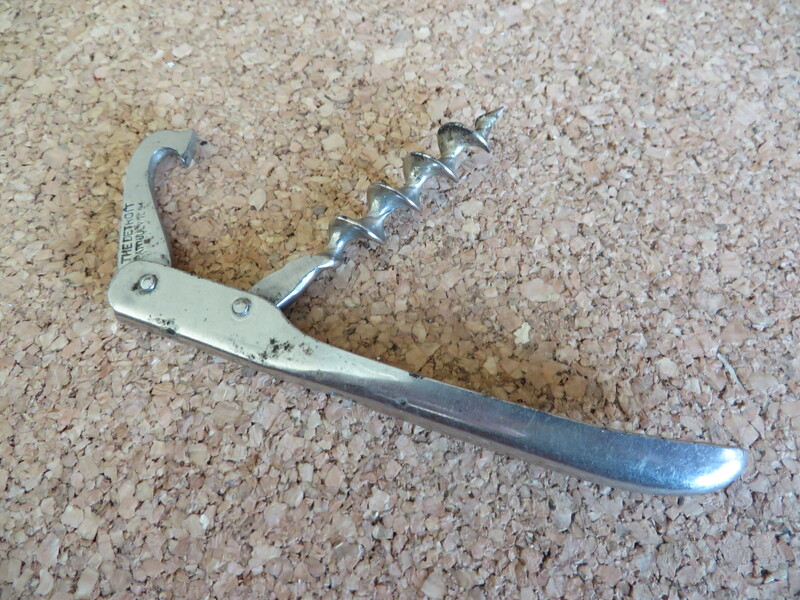 Speaking of corkscrews. 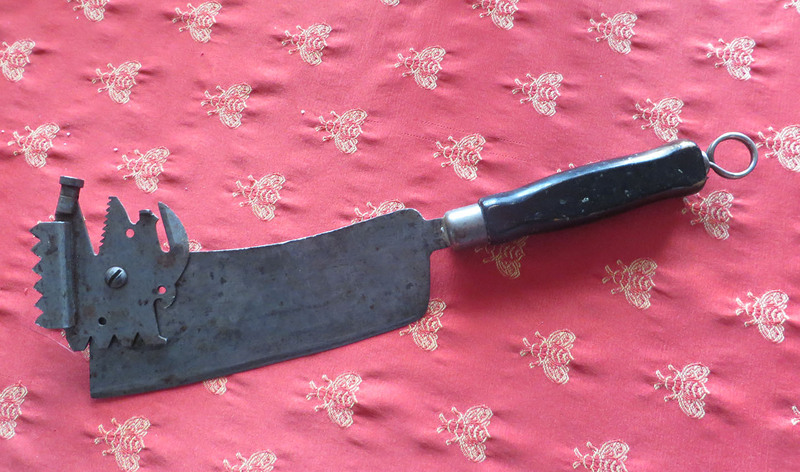 I have been working from home (not that I usually work from somewhere else) today, and happened to search eBay on a break. 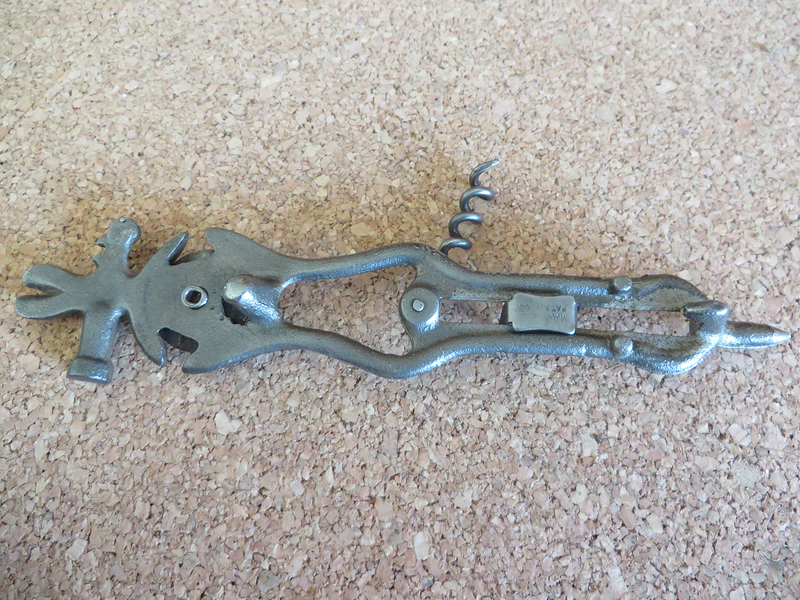 And, what turns up but a champagne nippers with folding corkscrew with a buy it now or best offer on eBay. As you are all aware, I love a deal, and I was indeed tempted to make an offer. But, after thinking it over for a second, I opted to snap it up for a whopping £ 5,99. A smokin’ deal. The S.F. Giants evened up the World Series last night, and with a final score of 11-4, it was a little more comfortable that some of their past wins. Yes, they had come from behind but perhaps this will set the stage for two more wins. 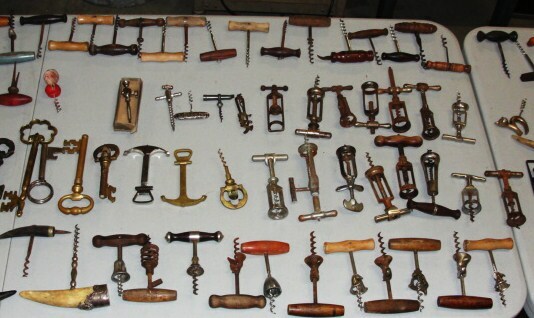 In our corkscrew world, we are still waiting on the 80 piece corkscrew collection, with bonus gift. But, soon enough it will be arriving. Meanwhile, there have been a couple of arrivals. 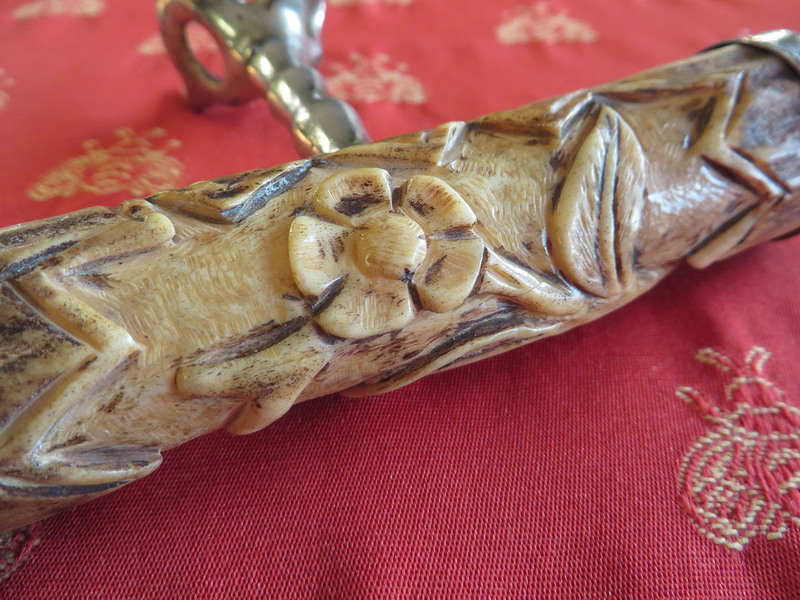 An interesting stag handle (fancy shanked) Walker corkscrew with carved floral motif. 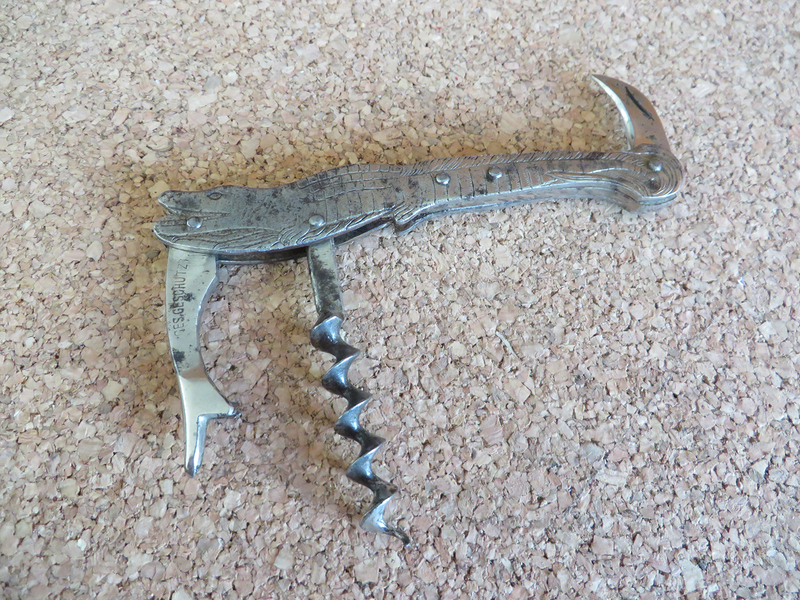 And, one of those wacky (and usually unmarked) cleaver corkscrews with Clough corkscrew in the handle. 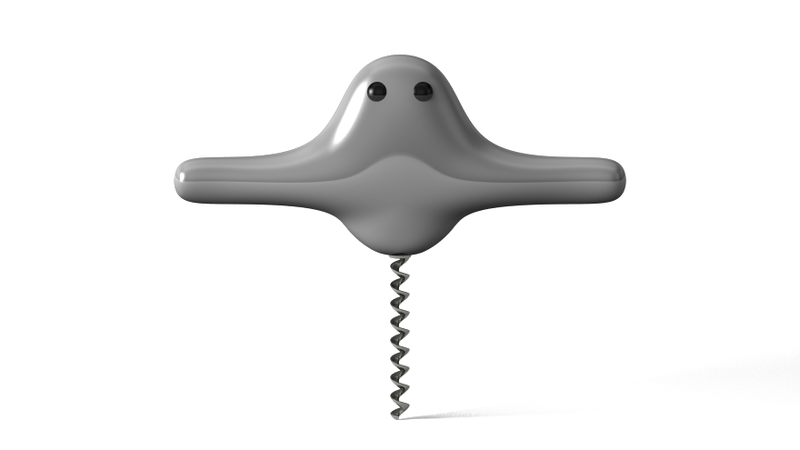 Of course, the big news in the corkscrew world is that the collectorcorkscrews.com auction is open for posting–having opened on the 24th, and there will surely be some fantastic corkscrew available for bidding starting Halloween. 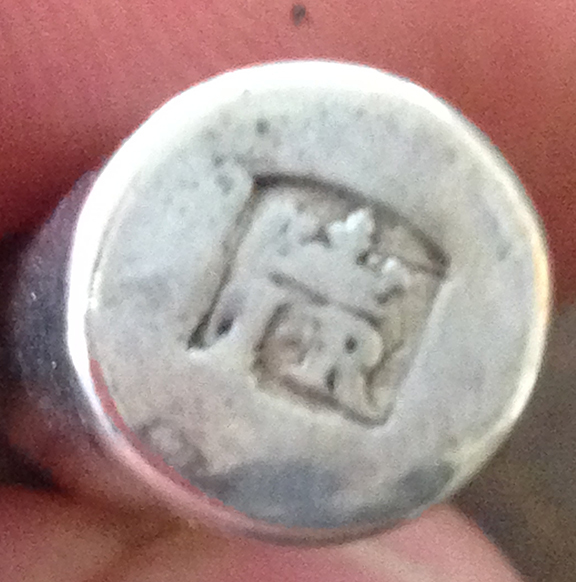 Not too long ago, I received an email regarding a small collection that was available. 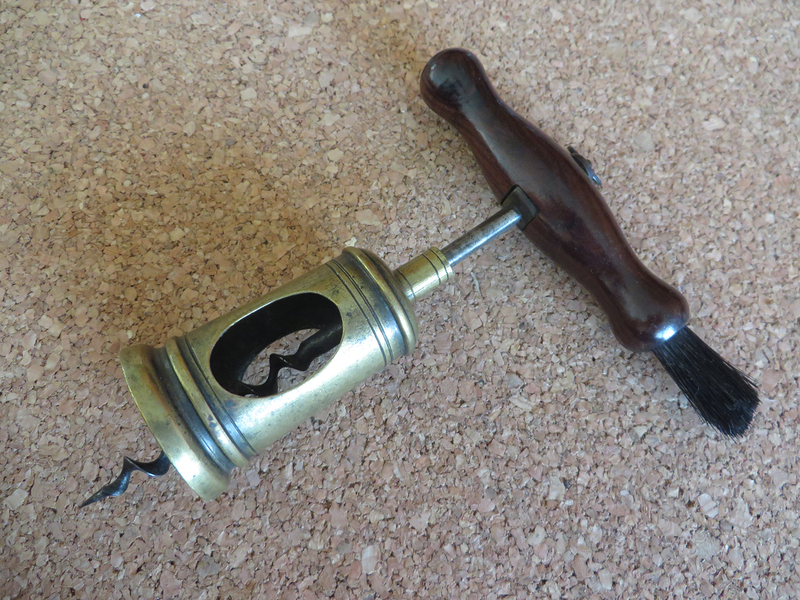 As you might remember, within the collection was a Frary with squashed oblong handle and integrated bell. Of course, we don’t know that this is a Frary for sure, as it isn’t pictured in the literature, but it is just too similar not to be. 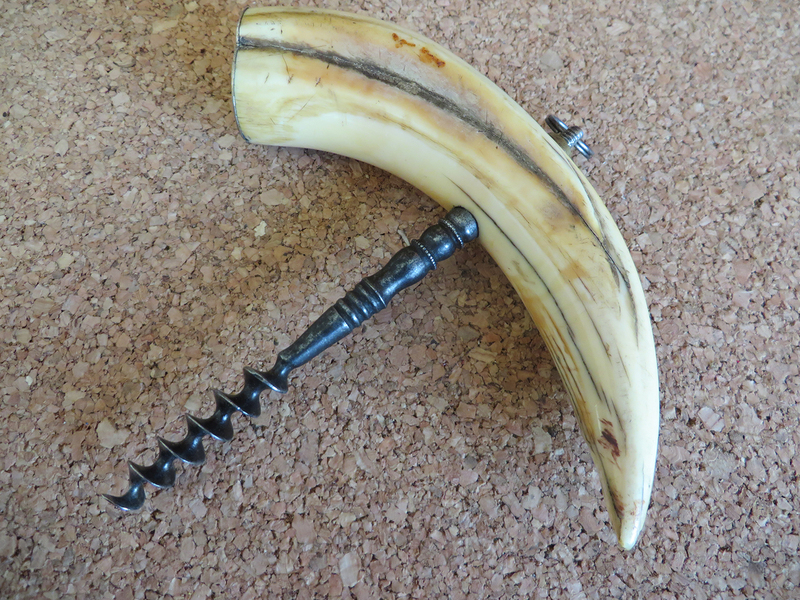 And, as previously posted, we came to an agreement on the Frary, and it was placed into the Frary drawer (not that I have a drawer full of Frarys). Well, okay, I do have a drawer full of Frarys. Anyway, yesterday a deal was indeed struck for the rest of the collection, and these will be heading to the island–albeit temporarily, as they will ultimately be heading elsewhere. A nice little lot, for a very fair price! 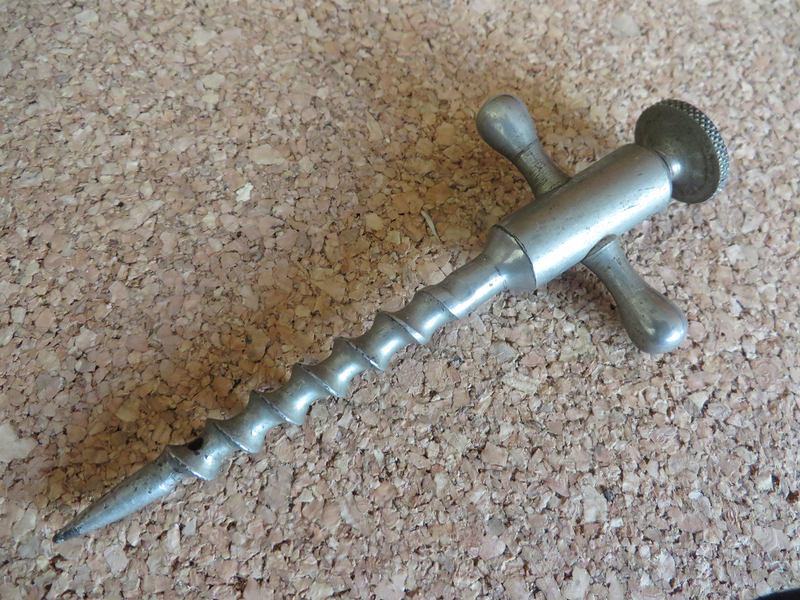 One of the corkscrews (or cork pullers rather) that I have long been after is the Albert Dudly patent of 1907 for his Stopper Extractor. 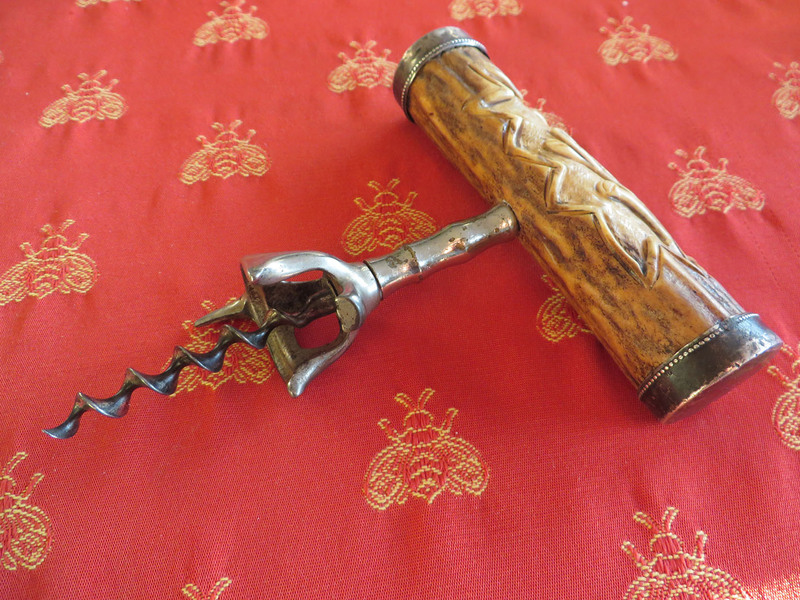 from a bottle, the cork not being over 1 1/4 inches diameter and 1 1/2 inches long, without injury to the operator, or to the cork. 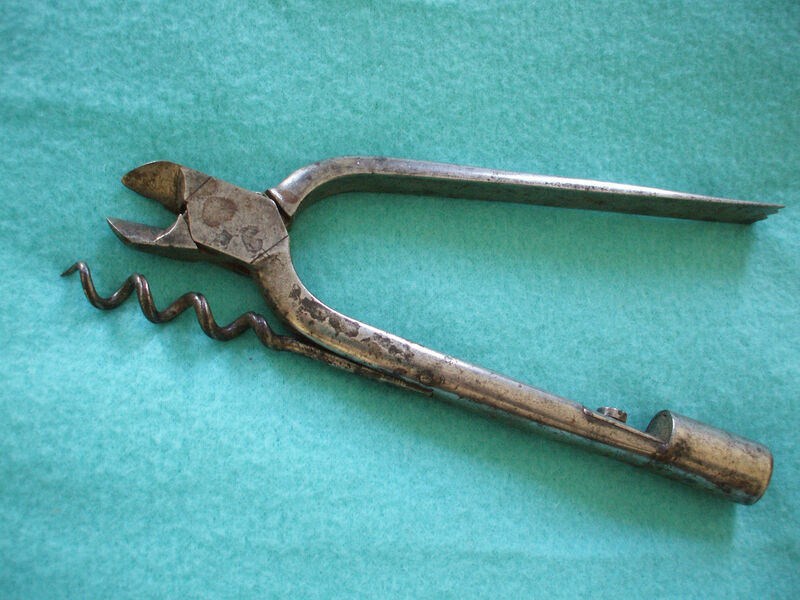 Tin or aluminum caps, of any shape, are readily removed with this tool; when doing this work the cork springs or prongs are in place within the frame. 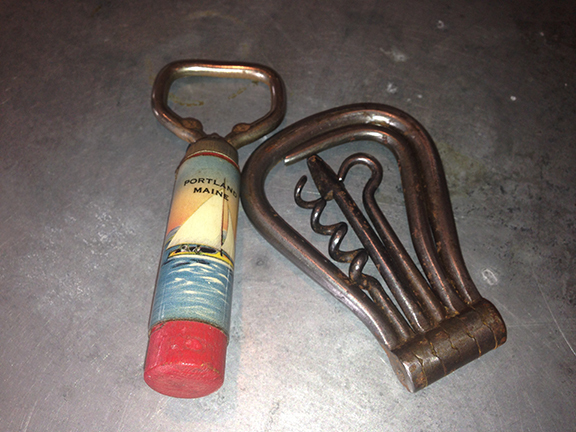 In removing outside aluminum or tin cap the frame is placed on the cap of the bottle as shown, and the spring hook engages with the rip of cap and it is readily pulled off. 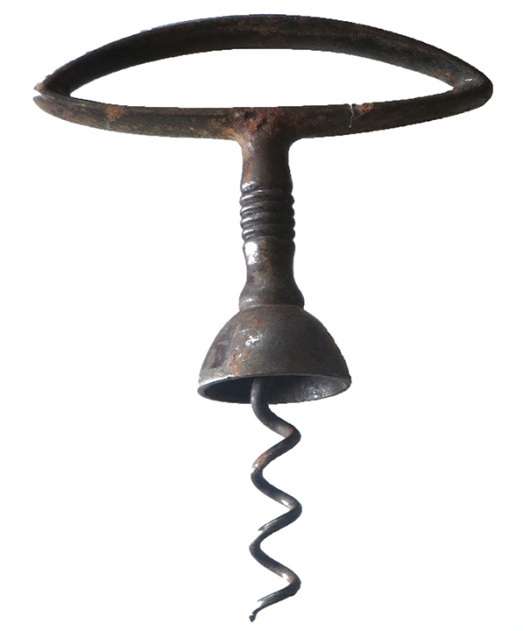 To remove caps from the neck of the bottle the spring hook will catch inside of cap rim, and bearing down the cap, is removed. 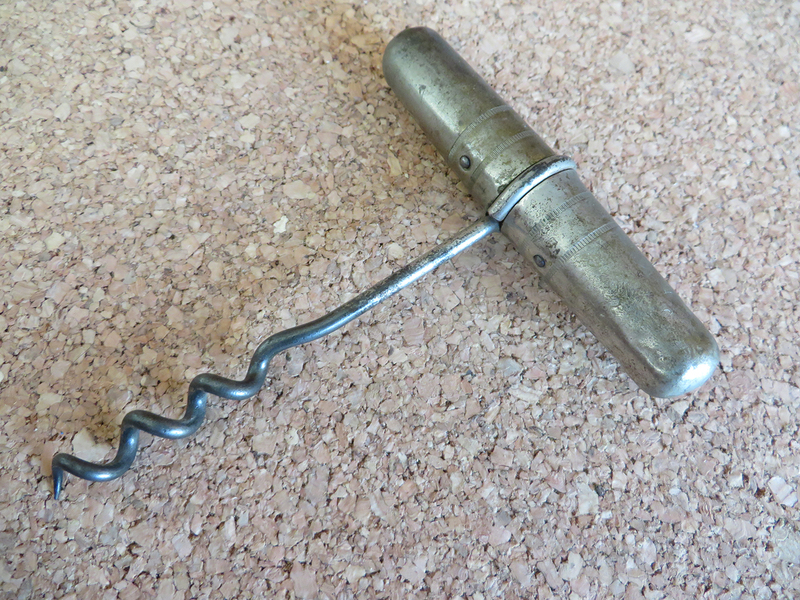 It can also be used on open wired bottles. 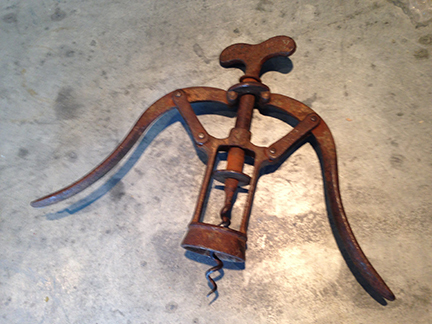 The device weighs but two ounces. 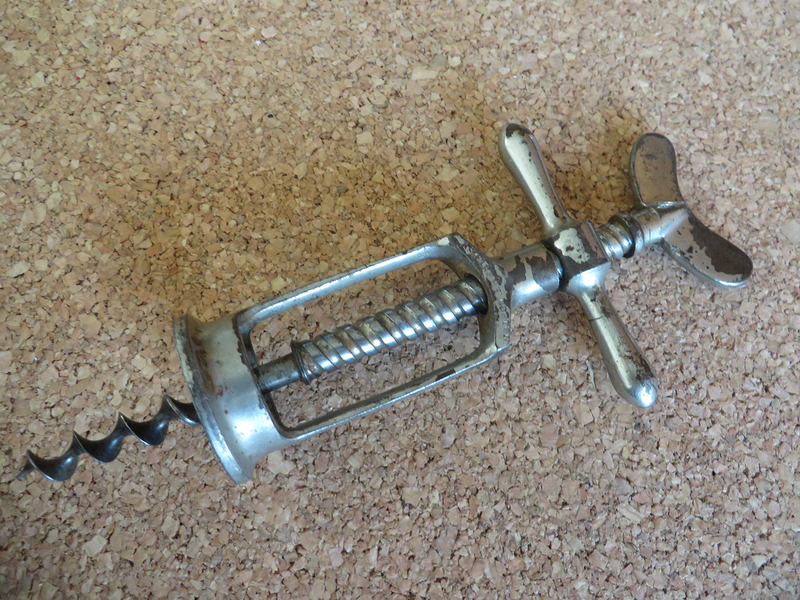 If you have a Dudly stopper extractor bottle opener cork puller, I would love to add it to the collection! 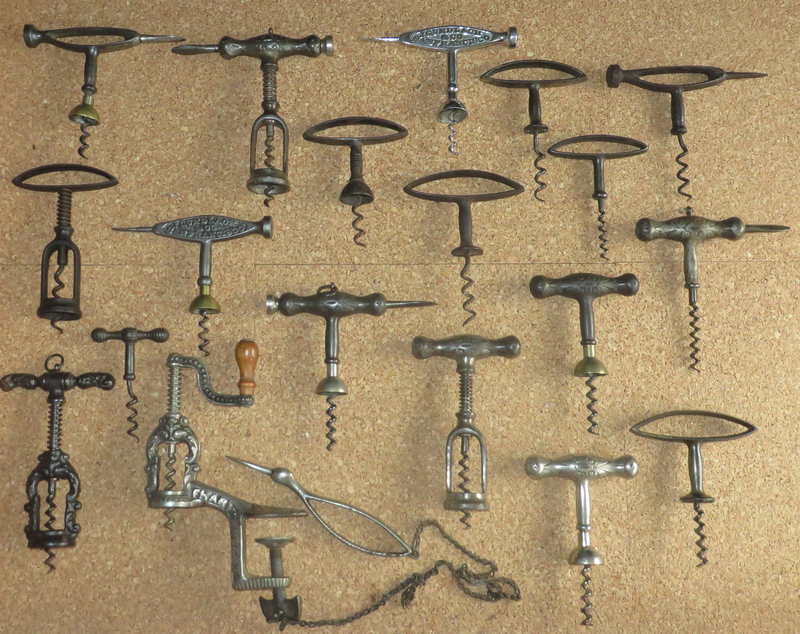 While in Brimfield, I ran into an antique dealer who explained that he had a collection of corkscrews at his place in Maine. Maine? I live in Maine! We exchanged business cards, and decided that at some point we would meet up and discuss doing a few deals. I made a couple of phone calls, sent several emails, made some additional phone calls, sent a follow-up email, and over the course of a few months, he finally agreed to send pictures. 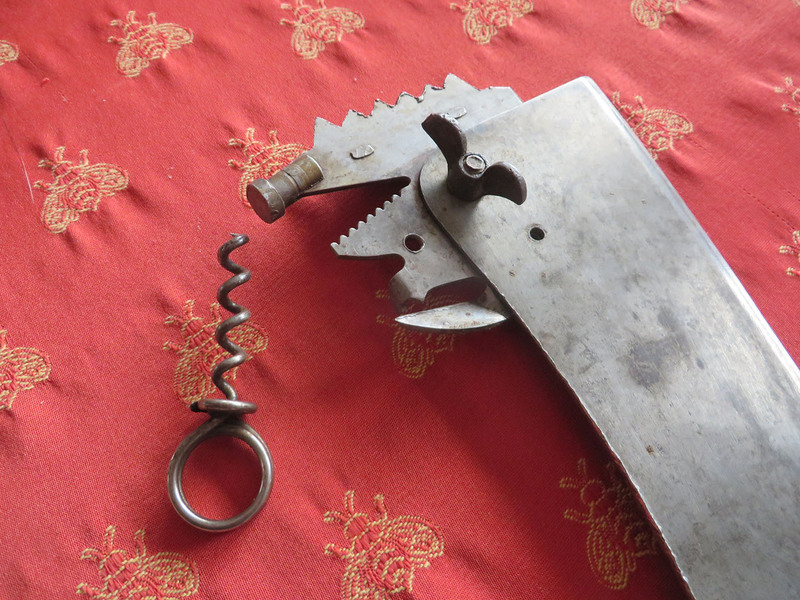 Now, I made it quite clear that I would gladly make a trip down, but apparently it is too much work to unpack the corkscrews–having been repacked after his photoshoot. Having seen the pictures (and those above are just a couple) I have no doubt it is indeed a fairly time consuming process to unpack and repack (with hopefully a few not having to be repacked, as they would be heading to Vinalhaven). Still, I responded to his email, suggesting a few deals. And, received no response. And, yesterday, as I was on the mainland, I offered to drive down, and complete the transaction. To which, he responded, no. It is too much work to unpack the pieces I was after. However, he was willing to sell the entire collection to me. After asking how much, I opted not to make the drive. Hopefully, at some point, he will change his mind on the few that I am after, or lower his price (dramatically). Yesterday, the lovely and I hopped on the boat and headed to the mainland. The lovely personal personal trainer is heading to Boston for a couple of days, and I needed to pick up the mini from the shop. After picking up said mini cooper, the lovely started heading south, and I started to head back to the boat. 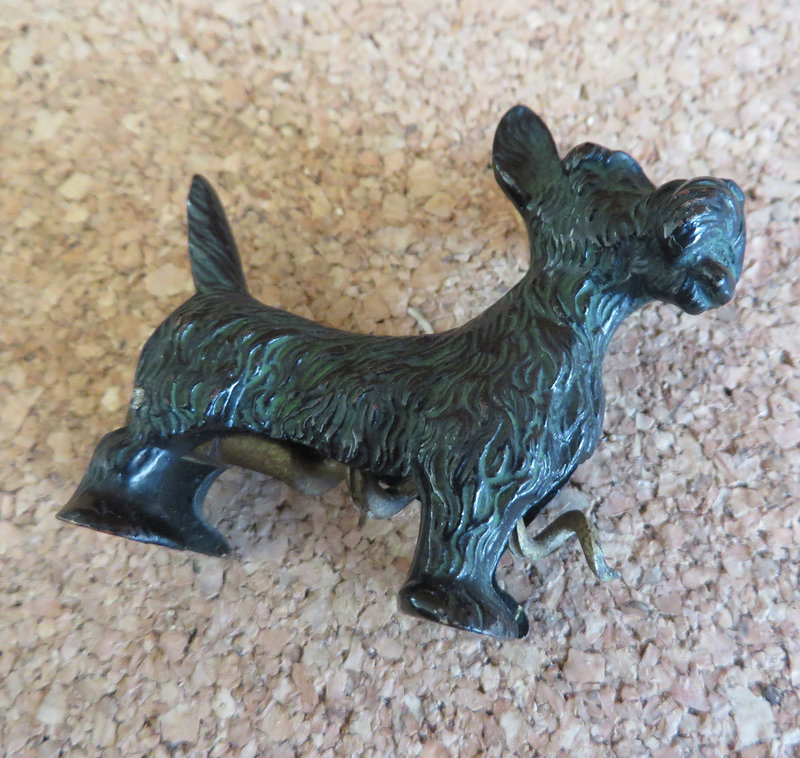 But, as there are antique stores in between, I made a few stops. At the first shop, there wasn’t much. 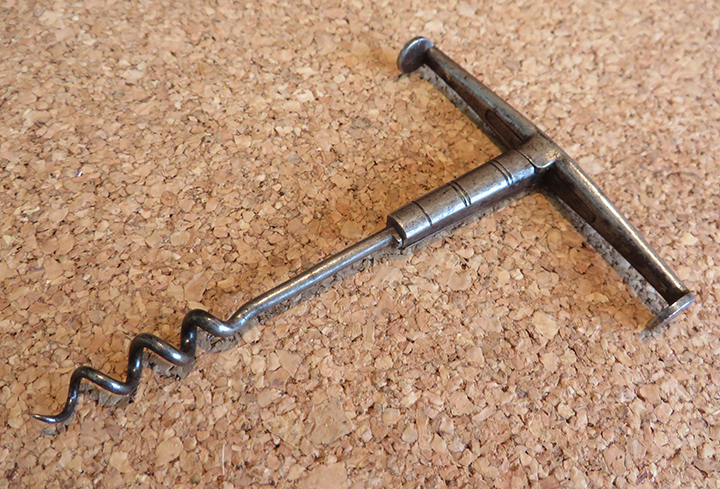 The second stop had potential, and in a few cases there were indeed corkscrews. 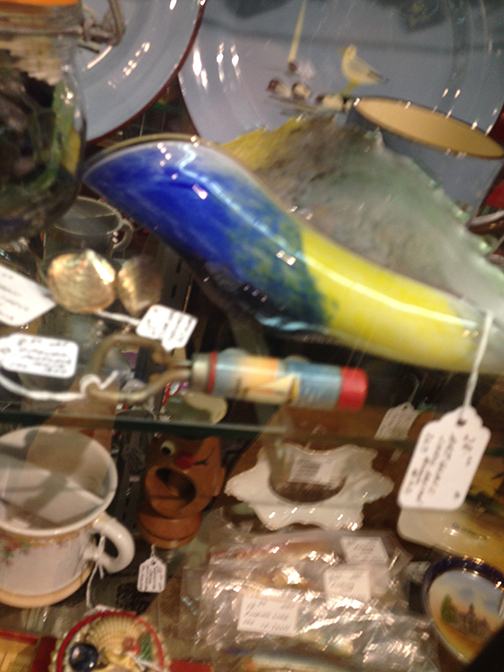 The flash is a souvenir from Portland Maine, and apparently Tommy already has it. Still, it was a fair price, so I figured I would grab that one. A couple of cases later there was a four tooled bow for 25 bucks. I decided to pick that up too. 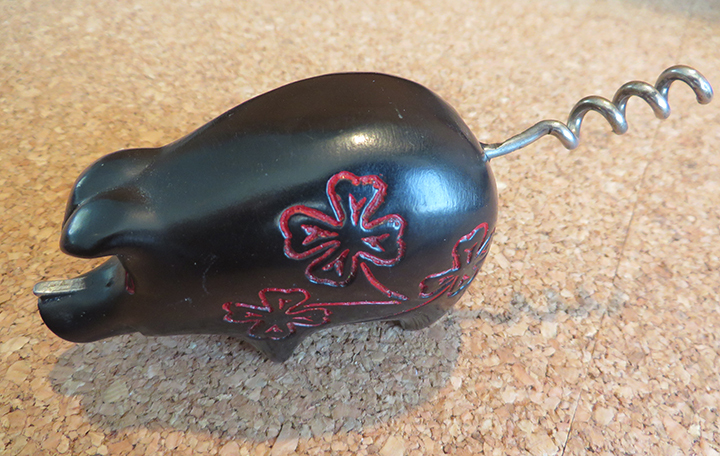 The shop that had these, is actually pretty small, so the hunt was relatively quick. A few doors down a new shop has opened, and while they were still loading stuff through the front door, I went inside and looked around a bit. Lots of architectural items, some big furniture pieces, and so I figured I would just ask. After hearing his asking price, and having him follow that up with, “they sell for twice that much in Paris.” I handed the silver perfume back to him. It is indeed a nice little thing, but with a $ 2400.00 price tag. Thanking the owner for showing it to me, I was soon enough back on the road and heading for home. 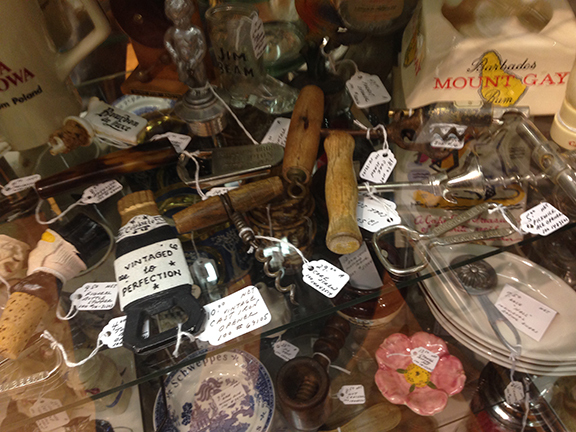 A few more stops, but no corkscrews to be had–overpriced 18th century perfumes or otherwise. Oh, did you notice the Giants won last night! Can they go on to win the World Series. I say yes!!!! 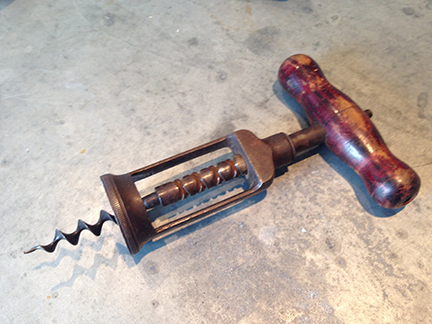 In just over a week, the next collectorcorkscrews.com auction will be open for listings, and I have been putting together a few in anticipation. I can hardly wait to see what others will be putting up. 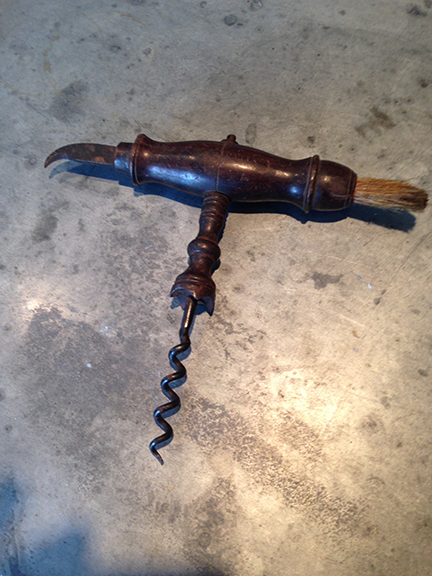 The auction listings begin on the 24th, and the auction itself will be open for bidding at http://auction.collectorcorkscrews.com on Halloween! And, with only one more win needed to get to the World Series, Go GIANTS!! !